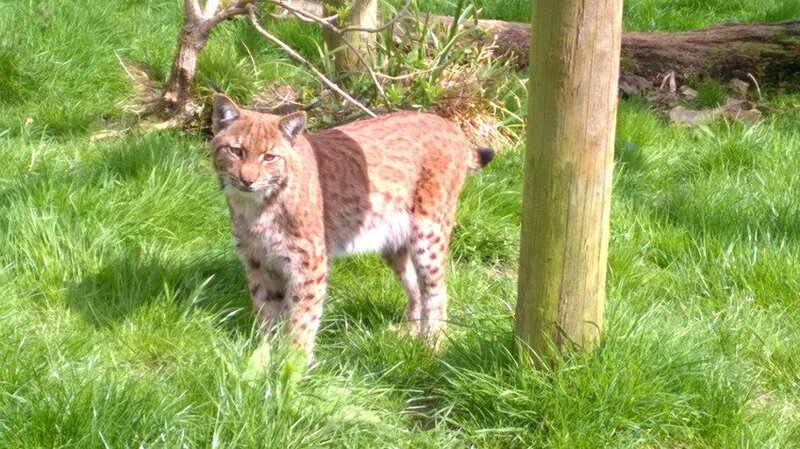 A major search is underway after a two-year-old lynx escaped its enclosure at Dartmoor Zoo. The animal, who is called Flaviu, is thought to have left the grounds. Police were contacted at 10.20 am this morning , 7 July. Staff have searched the zoo and are continuing to do so and will soon be conducting a wider search of the area. The Zoo is currently closed to the general public. We are continuing the search both inside and outside the zoo. We'll be putting together a search team hopefully. We're looking at the posssibility of getting in some scent hunting dogs to help us track down the animal and that will get underway within the next couple of hours. Officers have visited two local schools to offer safety advice and reassurance. All children at All Saints Primary School are not in school as they are away on a field trip. Police are also working with staff at Little Orchard Montessori School to make sure they are kept inside. Officers are also going house-to-house in the area to offer advice and are helping with the search on the ground. The National Police Air Service (NPAS) helicopter has been deployed to assist with the search of the boundaries of the zoo. The missing Carpathian lynx is a wild cat about the size of a large domestic cat. It is a two year old male and grey or silver in colour.